McCarriston Plumbing & Heating Co. Inc.
"All Service Plumbing & Heating"
Welcome to our new home on the internet ! 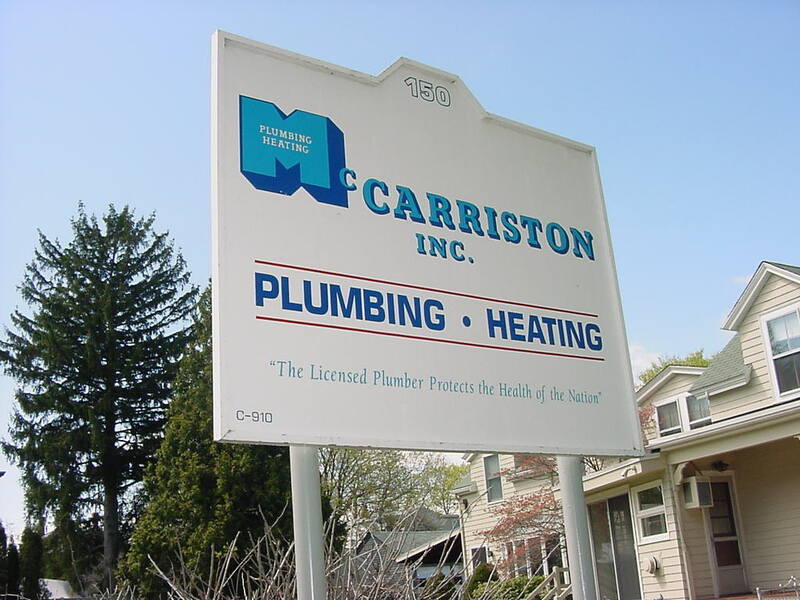 McCarriston Plumbing & Heating Co., Inc.
McCarriston Plumbing has been providing reliable Plumbing and Heating service to the Swampscott, Marblehead, Salem and Nahant areas for many years. We are members of the PHCC (Plumbing-Heating-Cooling Contractors) at the National and State level. With the constant upgrade in technology and new types of products being developed we are well aware of our responsibility to offer the latest innovations in the field to our customers, and are continually educating our service technicians to perform up to the latest standards and codes. You can reach us by e-mail :or by phone at 781 593-8228, 781 631-3222 between the hours of 8:00AM and 4:00PM EST Monday through Friday. We would be happy to discuss your plumbing and heating needs. Good help is hard to find. If your dissatisfied with your current position or just want to move into a new environment, we're always looking for a few good licensed men to round off our service team. Hope to hear from you soon.